Our composite door collection is a breakthrough in door technology, combining proven levels of high security with integrated locking systems, attractive colour options and superb thermal efficiency properties. There are a wide variety of benefits to choosing a composite door for your property in Eaton, Norwich, Norfolk and the surrounding area. First impressions are important. Your front door is the first thing that visitors to your home will be greeted by, making it an essential element to the feel of your home. Your front door can have a considerable impact on the overall appearance of your home in Norwich. Choose one of our fantastic composite doors and give your property a facelift. Our composite doors in Norwich offer up to six times more thermal insulation compared to traditional timber doors. These incredible doors lead the way regarding performance, offering homeowners in Norfolk with a long-term home improvement investment that will last for many years. A great option to improve the heat retention of your home. You’ll likely see a reduction in your heating costs as the warmth generated by your central heating won’t escape through a poorly insulated door. A bespoke energy certificate is issued with every door we make, the requirement in the UK is to be G rated or better, ours are always configured to achieve a rating of A++ to D.
When it comes to energy efficiency, it’s not just the performance of the product that makes a difference but the precise installation of the product. Our expert installation team have the experience and skill to ensure a snug fit that prolongs the lifespan of your composite door. When you choose Windows Plus, you can be sure of quality products fitted to exceptionally high standards. Our composite front doors will go on looking, functioning and performing at their best. We all know how much rain, wind and cold we are subjected to in Britain which is why our composite doors are extremely weather resistant. Rigorously tested to not only meet but exceed British standards, our composite doors are designed to specifically block out the elements and keep your home warm and dry, they’re even hurricane tested. Our market leading composite doors offer superior style compared to a standard uPVC front doors. You can fully customise your front door with your choice of design, pristine colour finishes, hardware accessories and decorative glazing. Our composite doors can be installed in a variety of colours for both the frame and the door itself. An excellent idea for complementing your property that can match your existing windows, doors or conservatory. The realistic wood grain finish looks immaculate and is built to last with the scratch resistant GRP skin to protect it. You can make even more of a statement with the new range of hardware accessories, that will make your front door stand out from the crowd and feel even more welcoming. Our exquisite range of handles, knobs, knockers, letterboxes, spy holes and more can add the finishing touches that make it your front door. Our composite doors are extremely secure. The layered composite material is inherently strong, and when completed using impact resistant GRP, which is also used on the hull of boats, you won’t have to worry about any unwanted intruders. Take a look at our products brochure for full security specification. Advanced locking mechanisms are installed on our composite doors to keep your family and home safe. The Door-Stop Secure Guarantee is available for all purchased doors in their range. It guarantees the owner a replacement door plus £500 compensation in the event of a break in where the lock is at fault. Are you interested in discovering how much you could save with our composite doors in Norwich? You can use our online quote engine – it’s completely free, no obligation and only takes 2 minutes! You can also contact our friendly and experienced team here at Windows Plus. Call us on (01603)438886 or use our online contact form and we’ll happily help with your composite door enquiry. 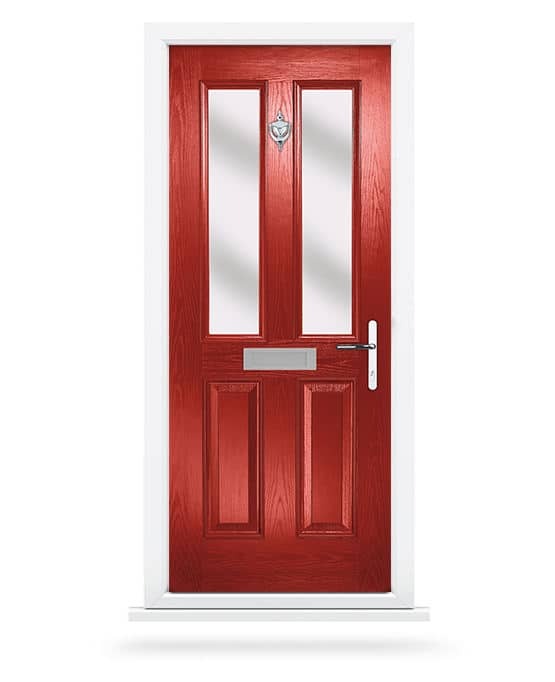 Design your composite door online today. Configure colours, hardware, glass and more with our easy to use door designer!